Click each week in the list below for full details. Our journey begins quietly, with a handful of pilgrims hiking into the remote headwaters of the Connecticut (Fourth Connecticut Lake) along the New Hampshire-Canada border. 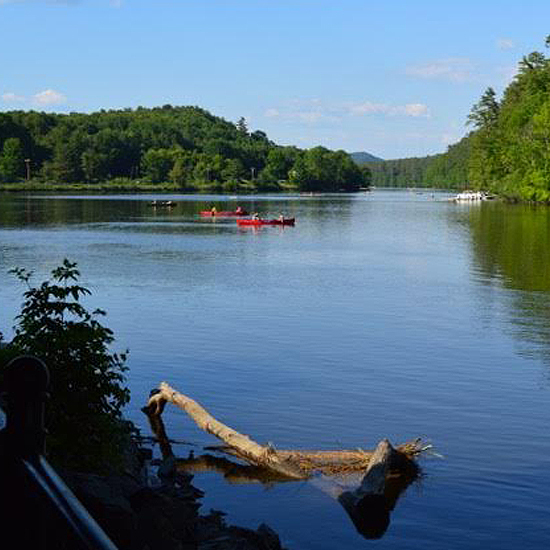 We will hike alongside the River where it is too shallow to paddle, and put in boats to paddle on the Connecticut Lakes and Lake Francis. Then, we put in our canoes and kayaks in Canaan, VT, for a week of paddling through agricultural valleys and beautiful northern forestland. 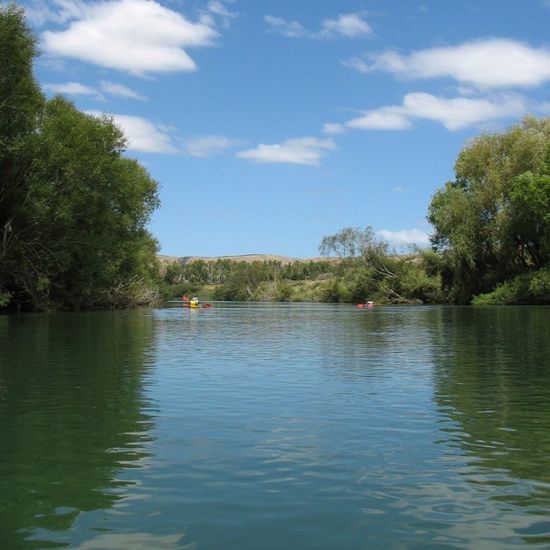 This most remote section includes numerous rapids (all safe for open boats) and we will be camping at river-access only sites. 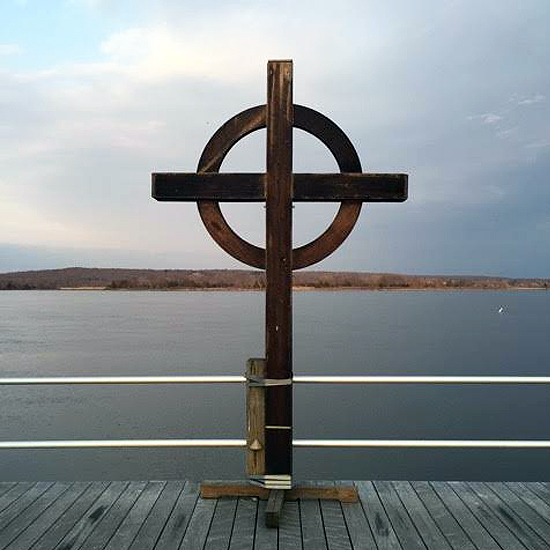 As we paddle with New Hampshire to one side and Vermont to the other, we’ll establish our daily rhythms of prayer, paddling, and camp craft that will guide us through the rest of the Pilgrimage. 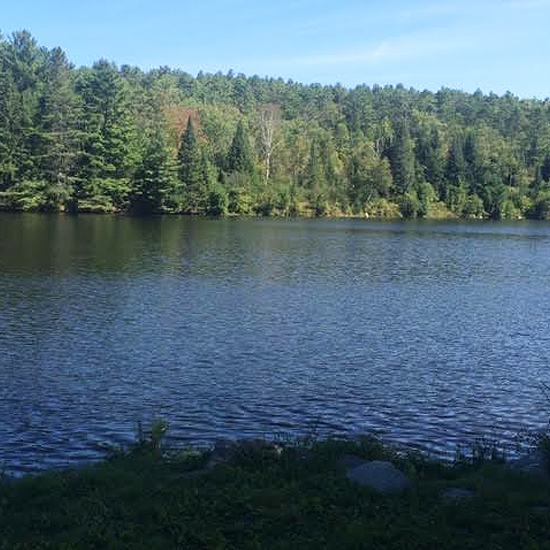 We finish by crossing Moore Reservoir, New Hampshire’s largest undeveloped lake. This section is recommended for paddlers with some whitewater experience. 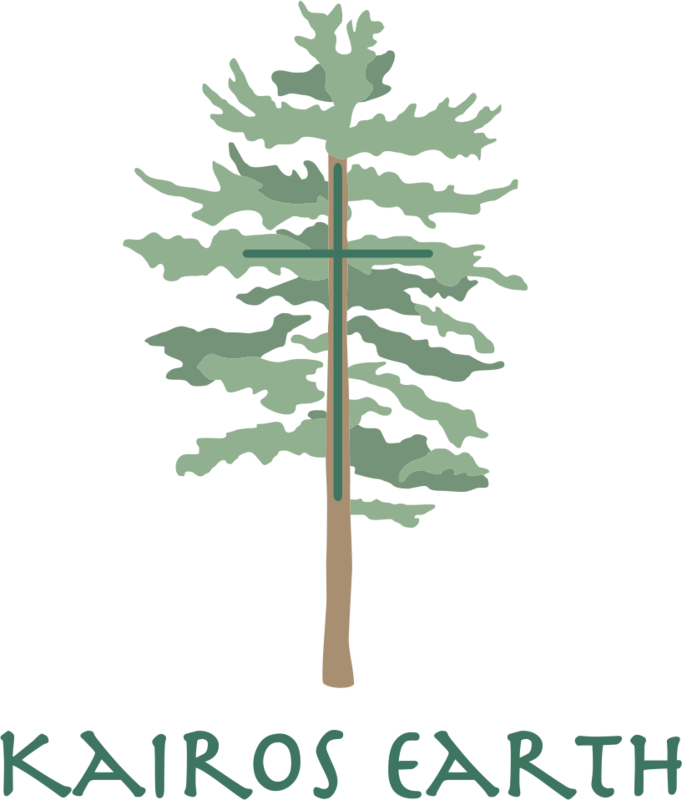 JUNE 3: Land-based event(s) in Canaan, VT – visit our Events page for more details. 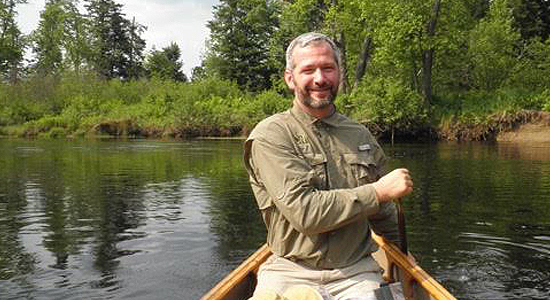 Our journey continues from the southern side of Moore Reservoir, across Comerford Reservoir and down river through a mix of quick water and meandering oxbow lakes in the small agricultural towns of the Upper Connecticut River Valley of Vermont and New Hampshire. We will again be camping along the banks of the river throughout the week, and will settle into the quiet rhythm of pilgrimage as we pass river islands and prime habitat for ducks, blue herons, and bald eagles. Pilgrims on this section should be comfortable paddling and camping for a week, but do not need extensive whitewater experience. 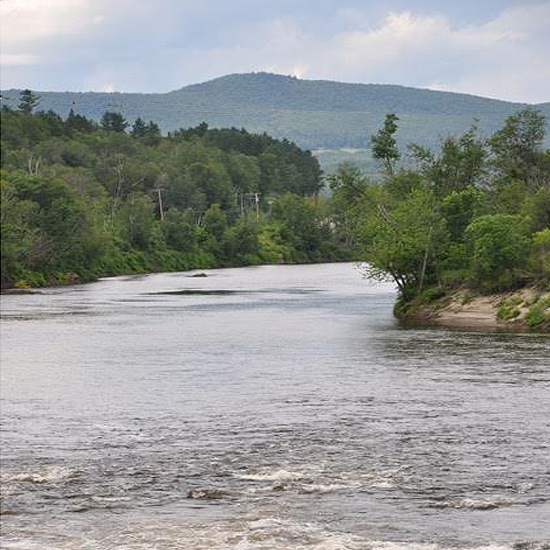 This section begins at the great confluence of the White and Connecticut Rivers, an important trade junction for Native Americans, and later for the railroads that were built along both river valleys. 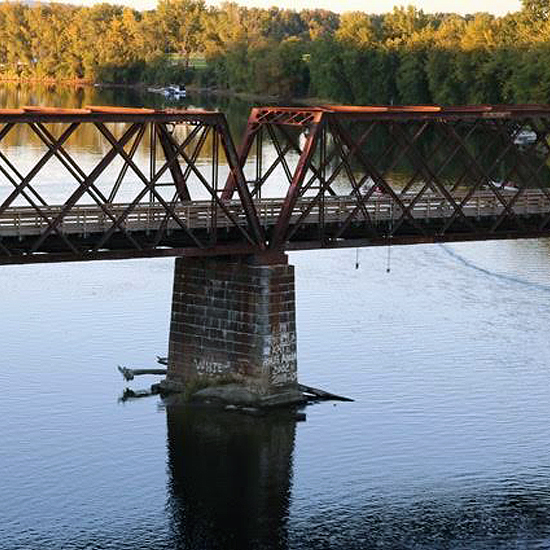 We’ll paddle underneath the Cornish-Windsor Bridge, the largest covered bridge in the United States. We’ll be paddling the Vermont-New Hampshire divide the length of this section, passing through a mix of forest and rolling fields. Finally, we paddle through southern Vermont and New Hampshire, encountering floodplain silver maple forests and wetland meadows along with rich agricultural fields. We paddle past the historic Fort at Number 4 in Charlestown, NH, originally constructed in 1745 as the northernmost English settlement in the region. 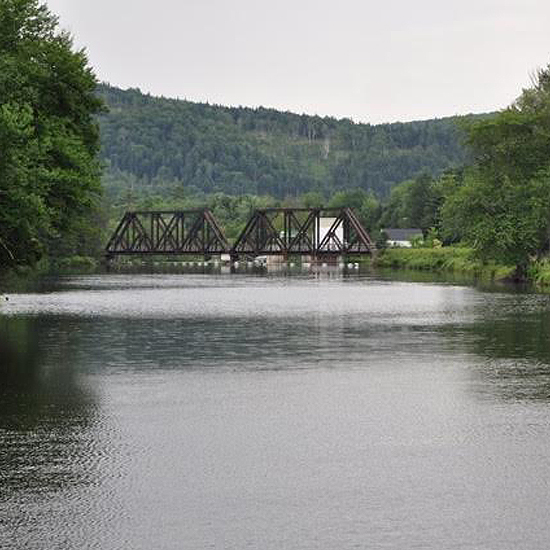 As we continue down river, we’ll pass ancient Native fishing sites at Bellows Falls and early industrial era development in Brattleboro. The river is again gentle and easy to navigate in this section. Our journey downriver in this section begins as we paddle past the now deactivated Vermont Yankee nuclear power plant, and shortly thereafter we say goodbye to Vermont and New Hampshire and enter Massachusetts. We pass through the dramatic French King Gorge at the heart of the 250-million year old geological fault that first created the Connecticut River. 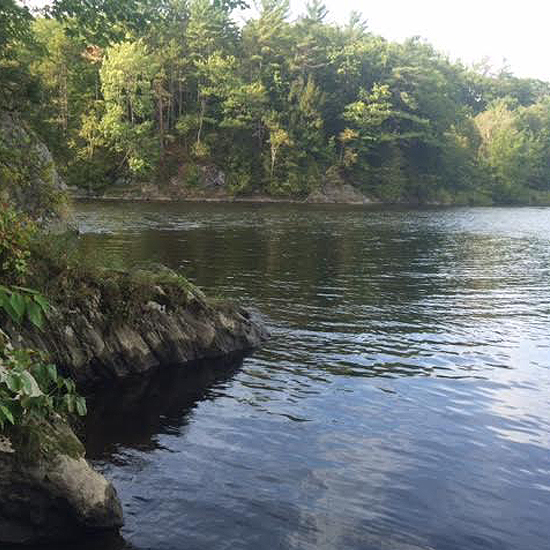 Although we’ll portage around 40-foot high Turners Falls, it’s an otherwise easily managed paddle through flat water and quick water for the first part of this week. In the latter part of the week, we’ll paddle through the Pioneer Valley of Massachusetts, crossing between Mount Tom and Mount Holyoke, where the River has cut a channel through the ancient, volcanic Metacomet Range. The rich farmland of this region was home to a large Native American population, and was settled by the English in the mid-17th century. In addition to an abundance of local history, we will pass through a mix of forest, farmland, and the bustling towns of the region. Paddling is again straightforward, and we’ll likely see a significant number of other boaters in this stretch. 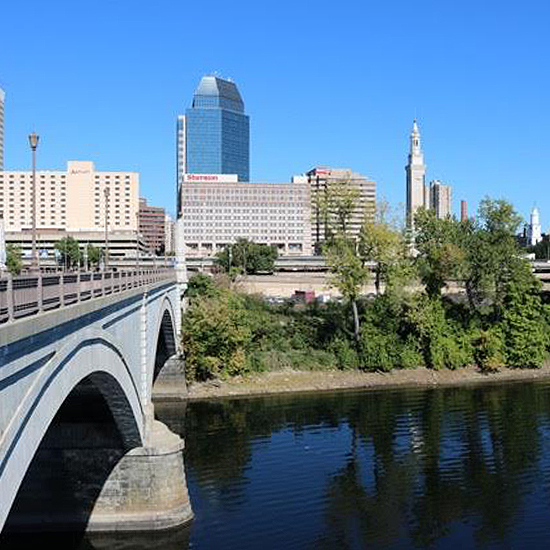 As we cross from Massachusetts into Connecticut, we’ll also paddle down river through the largest cities on the Connecticut River– Springfield, MA, plus Hartford and Middletown, CT. We’ll experience the unique perspective of paddling from forest and farmland into, through, and out of these major population centers. Paddling is easy, with little current, though the width of the river this far along will keep us from wandering from one side to the other. We’ll be paddling flat water as we pass by beautiful islands and under historic bridges in this section. We’ll begin to see the effects of the ocean tides, as the river rises and lowers up to two feet in this section with the changing tides. As we depart Middletown, the Connecticut turns to the southeast. Through this section, we will paddle along with the outgoing tide to ensure ease of passage as we navigate the transition from freshwater into the saltwater tidal marshes at the mouth of the river. The Tidelands have been marked by the Nature Conservancy as one of the ‘Last Great Places’ on earth, and we’ll take some time to explore and celebrate the beauty of the fresh and brackish tidal wetlands as we pass through this unique region on the way to our destination and pilgrimage-concluding celebration in Essex, Connecticut. While there will be no rapids to contend with, on this wide section we may face winds and larger boats traversing the river. Following our major celebration in Essex, CT, a smaller group of experienced paddlers will complete the final six miles of our journey, finishing with a dramatic entry into Long Island Sound where the Connecticut River enters the ocean. We’ll base the timing of this final stretch around the tides, and depending on the weather we may experience dramatic waves as we definitively move from river to ocean. Event(s) during this section = Pilgrimage concluding celebration on July 8th!